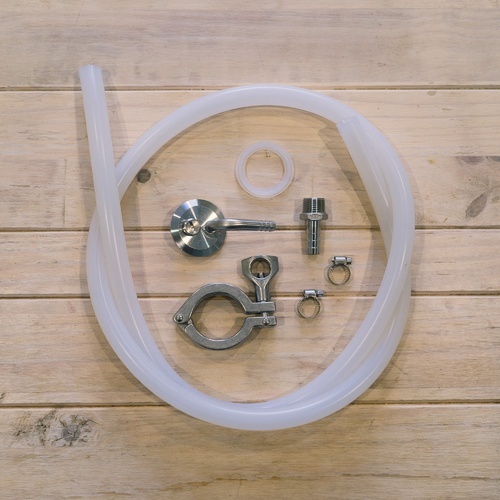 This kit includes everything you need to perform a pressurized transfer from your standard Ss Brewtech Chronical Fermenter. Attach the pressurized transfer fitting to the lid of your Chronical using the TC clamp and gasket, then attach the transfer fitting to your CO2 regulator. Finally, install the 1/2 in. barb to your racking valve and run the silicone tubing to your keg. The pressurized transfer fitting includes a PRV that prevents pressure from building to unsafe levels within your Chronical.